A new, fresh KISS may be “wet and sloppy,” but “at least it’s sincere,” says Gene Simmons. 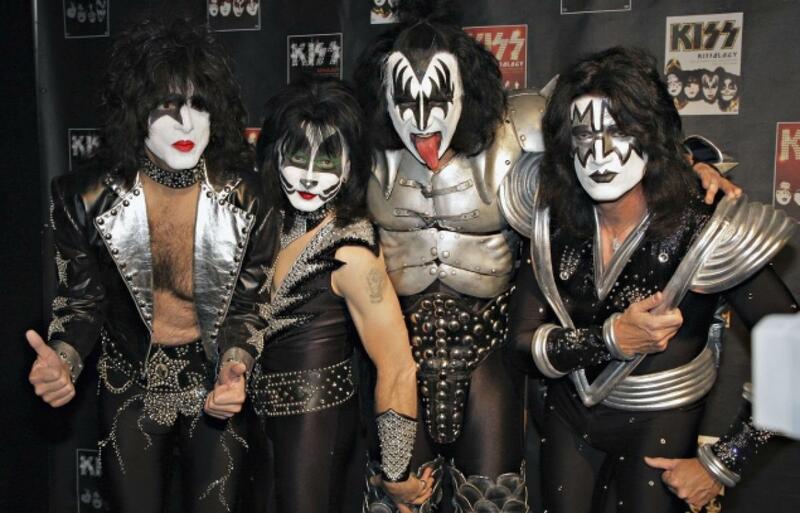 On the eve of their induction into the Rock ‘n Roll Hall of Fame, KISS founders Paul Stanley and Gene Simmons have announced their intention to re-record their classic albums — including their self-titled debut album to 1980’s “Unmasked” — with current members Tommy Thayer and Eric Singer, who is KISS’ current guitarist and drummer, respectively. “This will legitimize this lineup.” said bassist/vocalist Gene Simmons. “Re-recording those classic albums and replacing the guitar and drum parts with people who deserve to wear the makeup we own will give our fans, OUR bosses, the right to hear these songs the way I intended the songs to be,” Simmons told the Humor Times. KISS has refused to perform with original members Peter Criss and Ace Frehley for their induction into the Rock and Roll Hall of Fame. The Rock and Roll Hall of Fame has stated they are only inducting the original lineup of Stanley, Simmons, Frehley, and Criss, and not the numerous lineups KISS has had over the years including the session musicians that have played on their albums.